New Job - Send Flowers to Celeberate! A new job should be celebrated! Give the gift of flowers as a sign of acknowledgement and appreciation. A new job doesn’t come around every day, and it should be highlighted as a special occasion. It takes talent and courage to land a spot in the workplace, and such an achievement should be marked with a beautiful, thoughtful gift. It's such an exciting time when starting a new job. There is a lot to look forward to, and many new things to learn. Be part of the momentous occasion with giving the right kind of new job gift. LolaFlora has a wide selection of beautiful flowers for this moment. There are various colours, shapes and sizes sure to add the right touch to the office space. It will feel like home in no time! New job flowers are lively, appropriate and thoughtful. They look and smell divine - reminding the recipient of the incredible opportunities that come with a fresh start. Flowers are a great gift to celebrate a new job. To issue proper, hearty congratulations for this occasion, surprise your colleague, family member or friend with a bright bunch of flowers from LolaFlora. There are many options to suit the taste and style of the recipient. 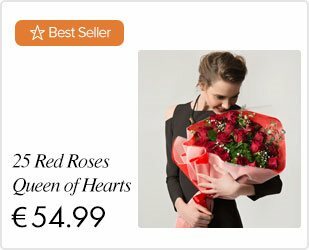 Giving the gift of flowers is often celebratory in nature, and this beautiful, eye-catching gift is a great way to say a massive “Congratulations”. 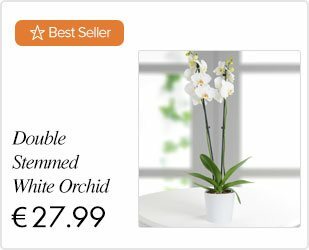 The gift of flowers will liven up the new working space, and will ensure many admirers and sweet compliments – a great conversation starter and way to break the ice with new colleagues. At LolaFlora, we believe in celebrating a new job with enthusiasm and style. It is a turning point! Starting a new job is the beginning of a fresh chapter - one to be filled with the promise of a brighter and more colourful future. Fresh flowers are a must! By giving the gift of flowers to celebrate a new job, the strength of nature is highlighted, and that same strength can be captured and utilized going forward in the workplace. At LolaFlora, we have the most amazing new job gifts – flowers for any personality, gender and heart. Celebrate the start of a new job with the glorious gift of flowers.